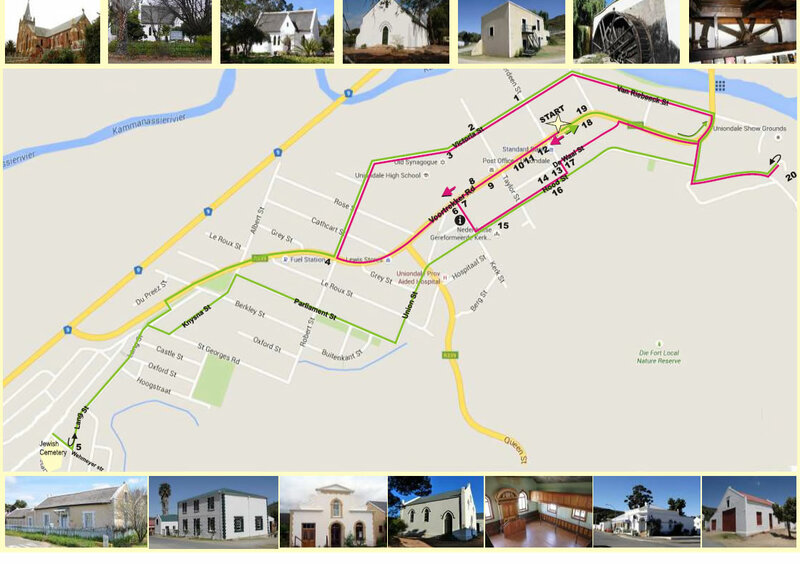 Uniondale has a rich history and two cycling or walking routes has been mapped for visitors to experience some of the town's past and present. The two routes, Route one is 4,9km and Route two 7,8km, will take you past numerous historical buildings and you will also encounter some of our Tea Gardens and Restaurants for a break. A map is available for download below and printed copies are available from various tourism establishments in Town. Bicycles can also be rented - enquiries - Cell 076 033 6067. There are a number of Cycle Friendly accommodation establishments in Uniondale. In addition to the usual Features they also offer Cycle Wash Bay, Secure Cycle Storage , Cycle clothing washing and Cycle Local Trail Info. They are also clearly marked on the Accommodation Listing Page. Below are the downloadable versions of the map. The Guesthouse was built in the late 1800’s and was restored by the current owners to its former glory. It is a prime example of Klein Karoo architecture and one of the original houses built in Voortrekker Street, Uniondale. Comfortable accommodation for the budget conscious. This quaint 1920's guest house started off in life as a boarding house. The house was later renamed Swanze Gat and operated as a guest house for many years.